"Next we stopped in the most picturesque fishing village on the southern tip of Ph� Quốc, An Thoi. Again people were fascinated to see westerners. These two girls on a bicycle followed us around while I took pictures of the multicoloured boats in the harbor. A bunch of village boys played soccer on the pier where all the fishing boats were unloading. Women in cone hats sat together in a huddle repairing fishing nets. It was one of the more spectacular scenes thus far. " An Thoi - is located at the southernmost tip of the island of Phu Quoc. It is the gateway to the white sandy beaches and the Phu Quoc Marine Park. An Thoi is also the second city of the island. It has a busy port with colourful fishing boats and it is also the busiest port of the island. From here boats are leaving with tourists who sail along the coast. In the evening at sunset they are waiting in An Thoi for an impressive photo opportunity. Near the port you will find many small shops selling fresh and dried fish and also processing newly caught fish. There is also a large Christian church in the An Thoi, which may be worth a visit for you. Near the southwestern tip of the island there is a very beautiful Buddhist temple, which you can also visit. An Thoi is famous for its prison concentration camp which nickname is the �Coconut Tree Prison�. It's often referred to as �hell on earth� for generations. The prison was built by the French and it was also used by the Americans during the Vietnam/American war. The infamous concentration camp is close to An Thoi town. 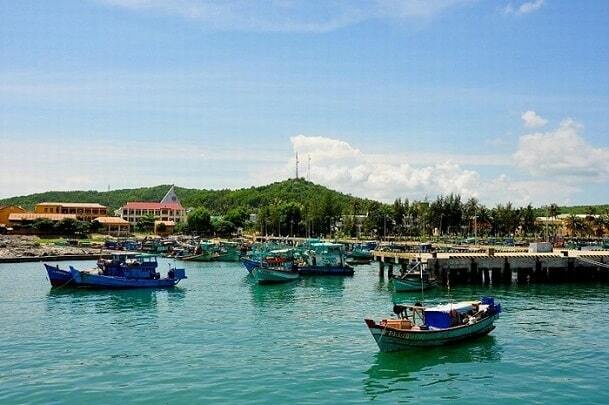 Today An Thoi is booming and famous for its white sand beaches (Sao Beach and Khem Beach) numerous coral reefs, commercial fishing industry, fish sauce factories, and its port. The islands naval base is also located here. There are a few hotels, cafes, a large church, a market, and even a small hospital. Sao Beach and Khem Beach are two of the islands most beautiful white sand beaches in Phu Quoc. They are located 10 minutes from An Thoi Town. You can make motorbike ride to reach these beaches or you can charter a boat in the port of An Thoi. 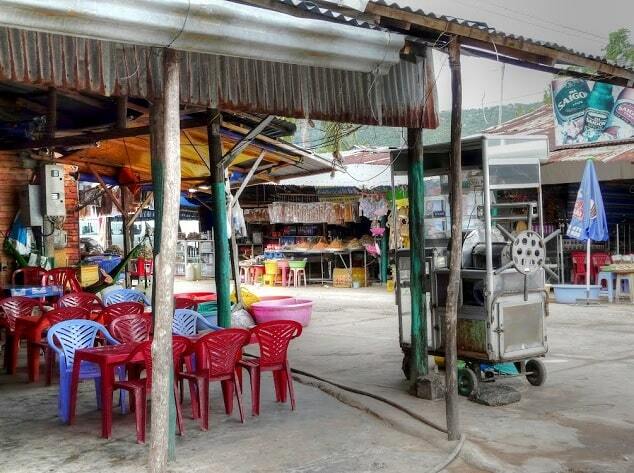 There are a lot of places to eat and drink in An Thoi Town near the market. You can eat at a proper sit down restaurant or purchase a meal from a street vendor. Do not expect to find any western food in An Thoi as seafood is the specialty here. Fresh seafood is relatively cheap here compared to other parts of the island. You can buy fresh oysters for 70,000VND to 90,000VND per kg. Crab is about 180,000 per kg (the larger variety), and squid is about 190,000 per kg. You can also buy dry fish, fresh fruit, and even unprocessed pearls. You can charter a boat at the port to visit the An Thoi Islands. These islands are colourfully named, like Yellow Tortoise Island (Hon Kim Qui), Coconut Island (Hon Dua), Pineapple Island (Hon Thom), Echo Island (Hon Vang), Cold Cloud Island (Hon May Rut), Shadow Island (Hon Dam) and Fingernail Island (Hon Mong Tay), among others. Coconut Island is the nearest island, where coconut groves and mango orchards fill plots of land. Although you can charter a boat in An Thoi or you can book a tour, they will never go beyond the first of the 18 islands, because of the cost of fuel. The islands in the central and southern areas are the places, where it is really beautiful and special. It is best to arrange everything yourself and don't go by yourself. Ask some friends and organize a picnic on one of the uninhabited islands. Buy charcoal, drinks, fruit, fish and vegetables. Ask someone to marinate the fish. Rent a cooler and a pair of pliers to make your picnic unforgettable. Don't forget matches or a lighter. If you can't make arrangements with a boat owner, ask someone at the reception of your hotel. Boat trips to the southern islands is possible only during the calm months of November to April. "The following day we went fishing and snorkeling at some of the small islands south of Ph� Quốc. The visability kinda sucked, but it was pretty fun to get in the water. We also were prepared an amazing meal on the boat with the fish we had just caught, noodles, fried rice, soup, fresh fruit and greens. It was a great spread. But my absolute favorite part of the day was when we stopped at a shop on the way out to the harbor and I met these little guys. They were pets of the Australian guy who ran the shop, and they were super sweet." 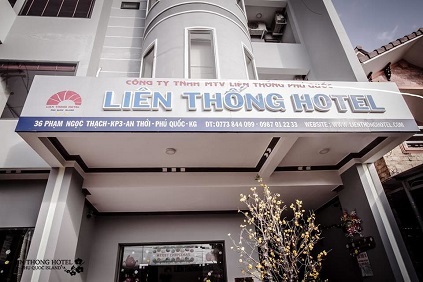 Whether you're a tourist or traveling on business, Lien Thong Hotel is a great choice for accommodation when visiting Phu Quoc Island. The city center is merely away and the airport can be reached within 15 minutes. With its convenient location, the hotel offers easy access to the city's must-see destinations. At Lien Thong Hotel, every effort is made to make guests feel comfortable. To do so, the hotel provides the best in services and amenities. For the comfort and convenience of guests, the hotel offers 24-hour room service, free Wi-Fi in all rooms, 24-hour security, chapel, convenience store. All guest accommodations feature thoughtful amenities to ensure an unparalleled sense of comfort. The hotel offers an excellent variety of recreational facilities, including fishing, garden. Discover an engaging blend of professional service and a wide array of features at Lien Thong Hotel.